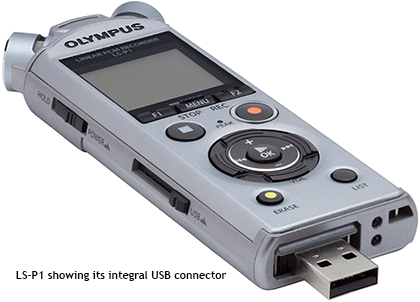 Whilst it's never going to replace the 'big boys', the miniature LS-P1 audio recorder provides everything you need to capture accurate stereo sound without having to carry heavy kit. Its top technology is crammed into a tiny pocketable sleek metal body, with its own integrated USB stick for convenient storage and transfer of files. And its integrated zoom microphones deliver pretty precise sound pickup for such small devices. 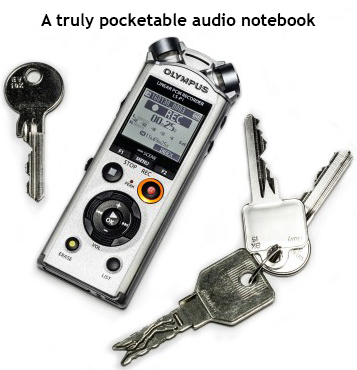 All in all, the LS-P1 is a great little audio notebook for when truly small and lightweight is needed. 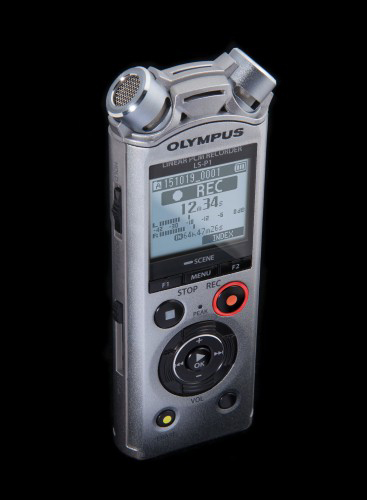 It also makes great stand-in or back-up recorder so you can 'get out of jail free' when your main kit lets you down. It has now been replaced by the LS-P4.